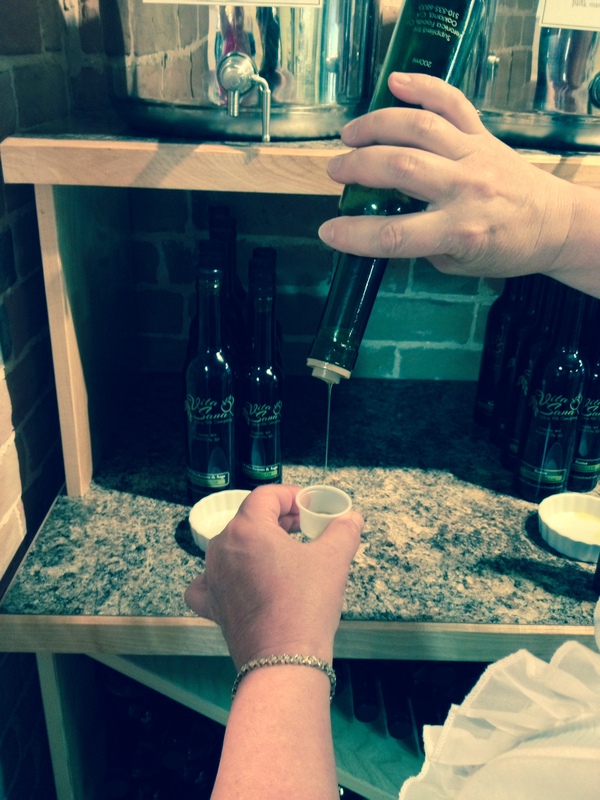 Olive oil and balsamic vinegar have a marriage made in heaven. I bet they never argue despite being complete opposites. Olive oil never leaves his dirty socks on the floor and balsamic vinegar doesn’t spend too much money on shoes. But really, this is a combination I have always loved. It has a way of seeming fancy, even when accompanied by a cheap loaf of bread from the grocery store bakery. 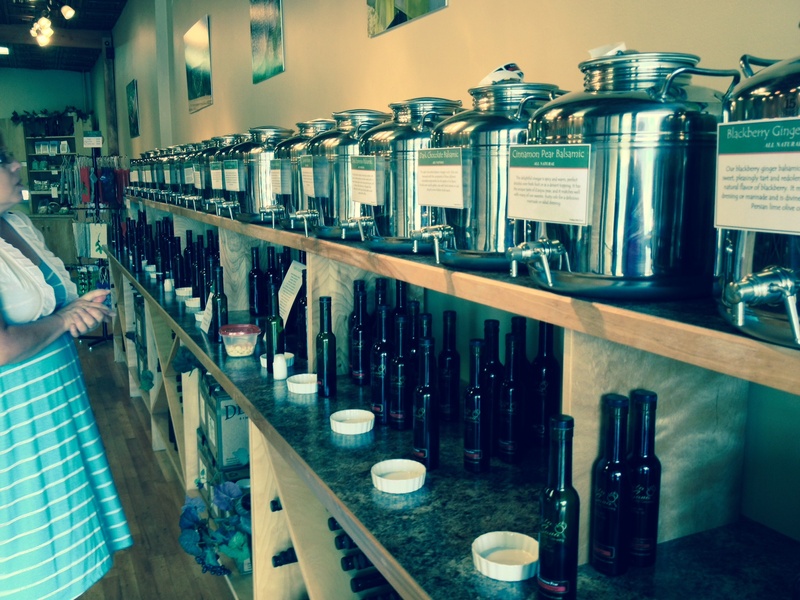 But did you know how many fantastic flavors of oil and vinegar are out there? Enough for endless combinations of flavors like gremolata, lavender, salted dark chocolate, and white peach. Fortunately for me there is a delightful little shop about an hour away from my home that features many of these fun flavors and offers free tastings of the various oil and vinegar combinations. 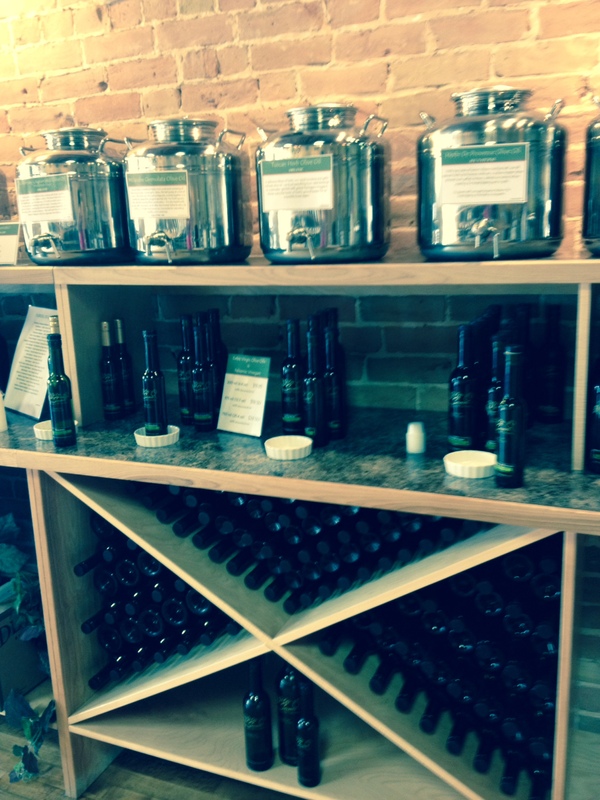 For store locations, visit http://www.vitasanaoliveoil.com. You sample the oil and vinegar in little plastic cups or by dipping an oyster cracker in them. Although we definitely preferred some flavors over others, all of them have really authentic flavor and amazing fragrance. 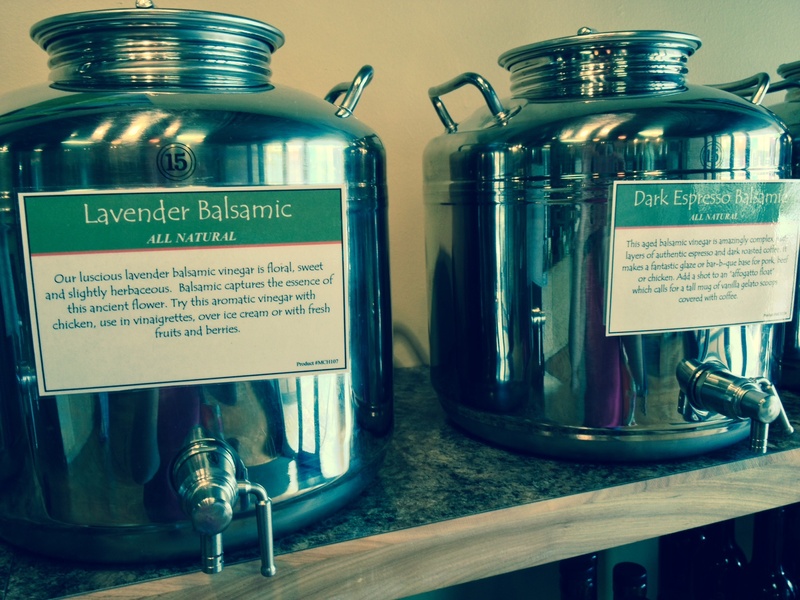 I was intrigued by the lavender balsamic. Perhaps drizzled over grilled chicken? 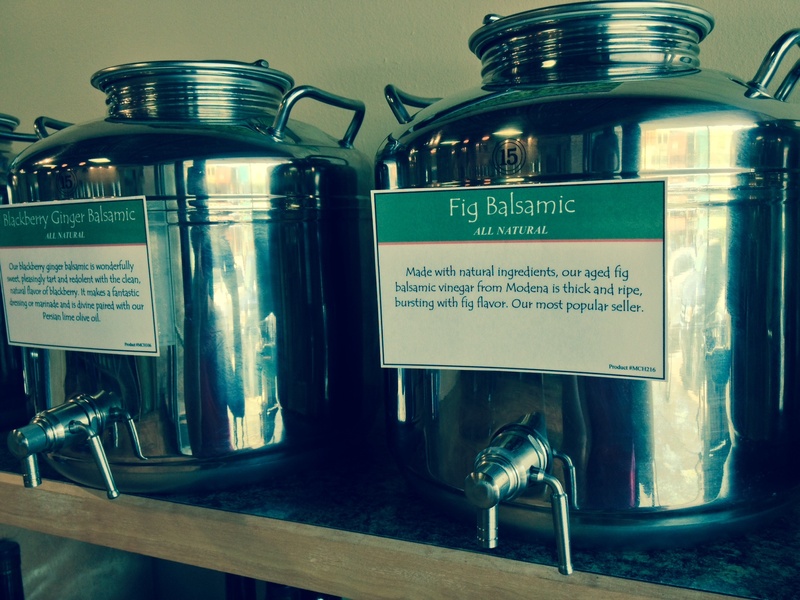 I opted for a bottle of the fig balsamic. 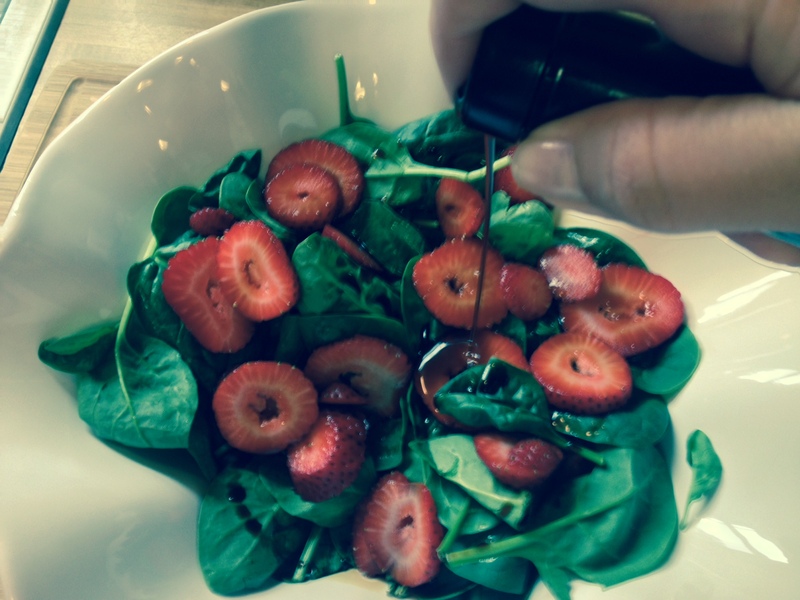 The first thing I did when I got home was whip up this tasty salad of spinach and fresh strawberries with a generous drizzle of the fig balsamic. 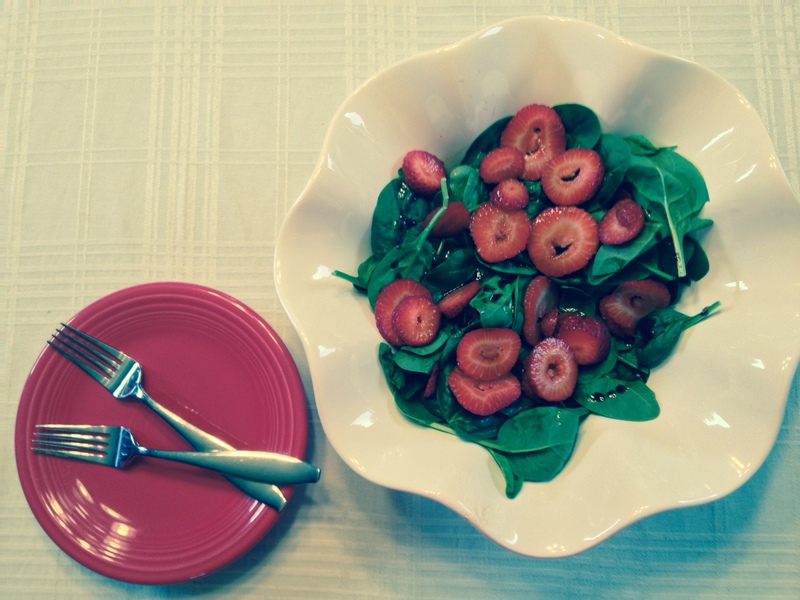 It is the perfect combination of sweet and sour, and is a light and refreshing summer side dish. Have you tried the salted dark chocolate??? I thiiiink that sounds amazing, but no idea what I would put it on. I’m sure Pinterest could give me some ideas. Maybe drizzled over a plain cheesecake? Yum.